As ‘Real Food Dietitians’ and long-time readers and fans of Mark’s Daily Apple, we’re beyond excited for this incredible opportunity to share our simple and out-of-this-world Buffalo Chicken Salad recipe with you (a big thanks to Mark & team!). 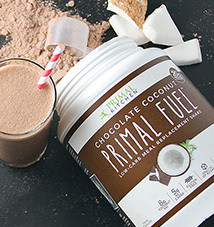 This recipe is Primal and Whole30-friendly and made with the NEW PRIMAL KITCHEN™ Ranch. You can’t go wrong with the irresistible combination of buffalo chicken and ranch dressing. 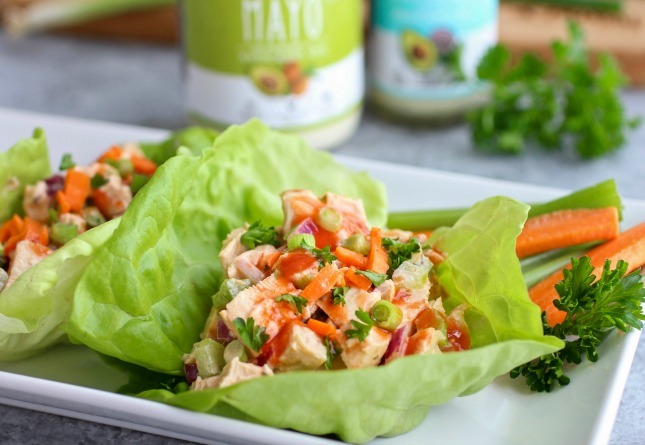 Our Buffalo Chicken Salad Lettuce Wraps are far from hard or boring. 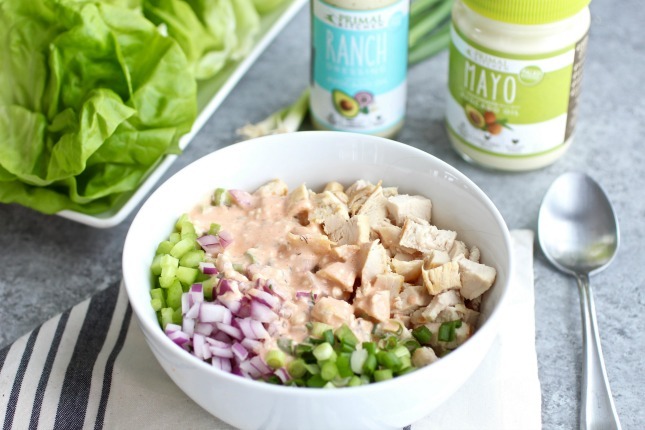 This recipe was inspired by our popular Slow Cooker Buffalo Chicken and created using Primal Kitchen Ranch and the Primal Kitchen Mayo made with heart-healthy avocado oil—the healthiest and cleanest ranch dressing and mayo on the market. 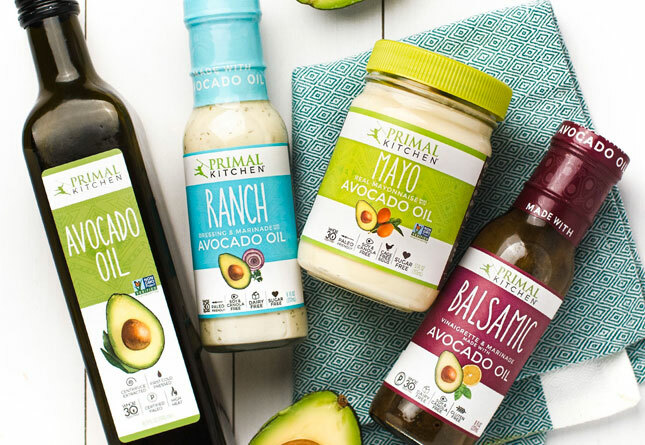 Without hesitation, we give both the PRIMAL KITCHEN™ Ranch and PRIMAL KITCHEN™ Mayo our Real Food Dietitian stamp of approval! This is a super simple and delicious make-ahead recipe, perfect for using up leftover chicken. You can now say ‘no thanks’ to eating a boring leftover chicken breast—phew! We’re huge fans of simple, make-ahead recipes, and these Buffalo Chicken Lettuce Wraps definitely fit the bill. Again, less time in the kitchen means more time doing what you love. Feel free to whip up a batch, store it in an airtight container in the fridge, and enjoy as a tasty Whole30-friendly lunch served in a crisp lettuce leaf or on top of a bed of greens for the next 3-4 days. Yum! In a medium bowl mix together the hot sauce, mayo, ranch and garlic powder. Next, add the cooked chicken, celery, and red onion and mix until well combined. Serve in a lettuce wraps or on a bed of greens and top with carrots and green onion. Dash with additional hot sauce for a little more kick. 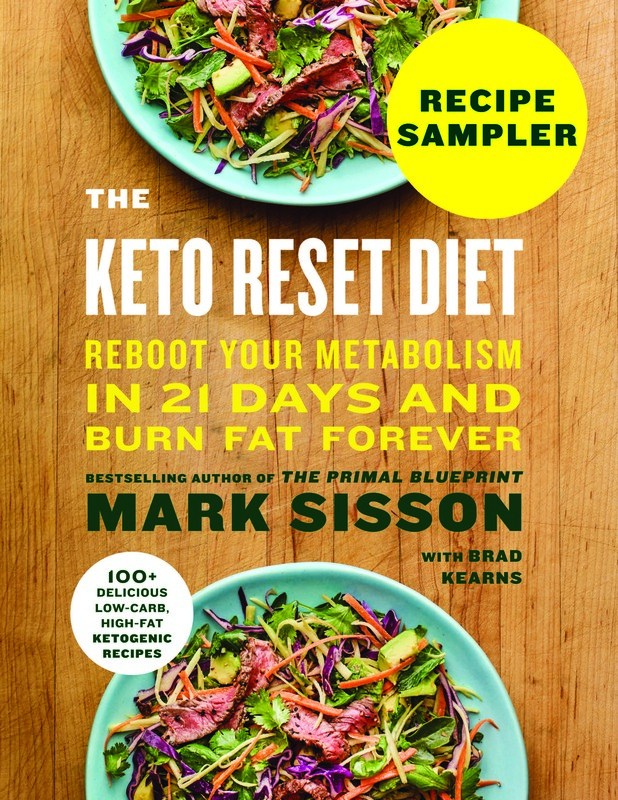 Speaking of make ahead recipes, our best tip for thriving on and sustaining a real food diet without food boredom or countless hours in the kitchen is to have a plan and prep ahead. Whether that means spending a few hours on a Sunday, jamming out to your favorite tunes while planning and preparing meals for the week ahead or spending a little time each night, we know that this will make your life easier, healthier and more delicious. We both like the weekend meal prep concept where we each spend a few hours on a Sunday prepping foods. Yes, this does take a good chunk of time out of our day but it’s worth it, we promise. It results in a fridge full of nourishing and delicious foods that are ready-to-eat for the days to come. 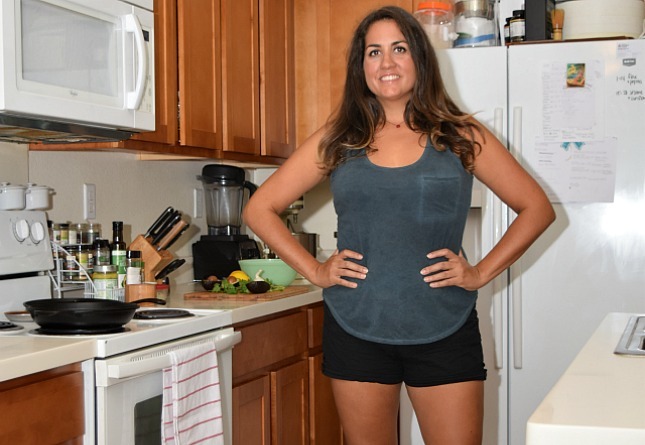 Jessica preps meals for her family of 4, while Stacie preps meals for her and her husband – the only difference is the amount of food that’s prepared. Take inventory of what you have on hand. This will help to reduce food waste and keep food cost in check. Create a plan for the week. We share 2 NEW recipes on our blog each week so be sure to head over there for some delicious recipe inspo. We even have a section of 10 ingredient or less recipes to keep things real simple. Make a grocery list of items you need and then get your shoppin’ on. We like to do our grocery shopping on Friday or Saturday with our first stop being the Farmer’s Market depending on the time of year. There you will find the best quality produce and meats, and it’s always great to support your local farmers and growers whenever you can. Unload and put away groceries. Wash produce and complete as much chopping and prepping as you have time for – this will make for a quicker meal prep. It’s time to prep! Start with a clean kitchen, making sure you have several containers cleaned and ready to be filled. Feeling overwhelmed? Keep it simple. Start with just 5 items. You can always add more to the list next week once you’re in the groove – and a mid-week mini-prep on Wednesday or Thursday evening can go a long way toward making things easier as you slide into the weekend. 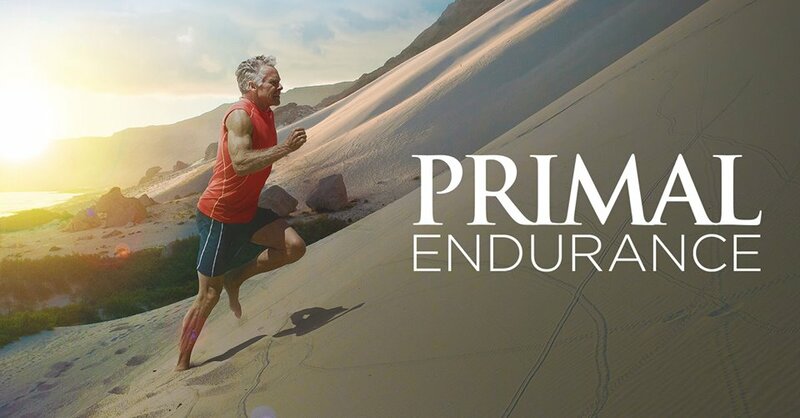 We hope you found these meal prep tips to be helpful and easy to apply to your Primal lifestyle. We can’t wait for you to try our Buffalo Chicken Salad Lettuce Wraps. If you like this recipe and these tips, be sure to check out our blog for more ‘good stuff,’ and come hang out with us on Instagram, Facebook, and Pinterest! 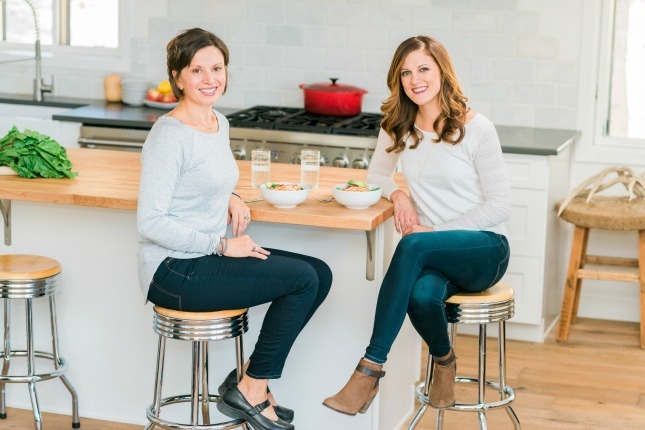 Jessica Beacom and Stacie Hassing are the Registered Dietitian Nutritionists behind The Real Food Dietitians website and blog. 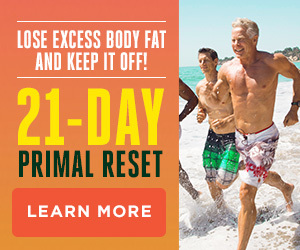 They create gluten-free and Paleo-friendly recipes that are designed to be big on taste and short on ingredients, so you can spend less time in the kitchen and more time doing what you love. You can find more recipes as well as nutrition, health and meal planning tips on their blog at The Real Food Dietitians. Looks delicious. I make chicken salad frequently, although my own recipe is more basic: shredded chicken (for some reason shredded tastes better than cubed), chopped hard boiled eggs, and diced celery if I have any on hand. I dress it lightly with mayo (usually homemade) mixed with a dab of Dijon mustard and serve on a bed of salad greens. For quick shredded chicken, cook a whole one in a pressure cooker for about 25 minutes, along with a cup or so of water and desired seasoning. The chicken will be falling apart and most of the bones will lift right out. Discard the skin and shred the meat with two forks. Great tip on the shredded chicken part! I too love chicken salad and make it all the time. I make a curry version too. Why the “buffalo” version did occur to me, I don’t know! So next time I use up leftover chicken, I will try this variation. Thanks, MDA, for these straightforward recipes that don’t require a ton of specialized ingredients. This sounds like my kind of recipe…flavorful and super easy. I’m leaving out the onions when I make it…everything else is a go!! 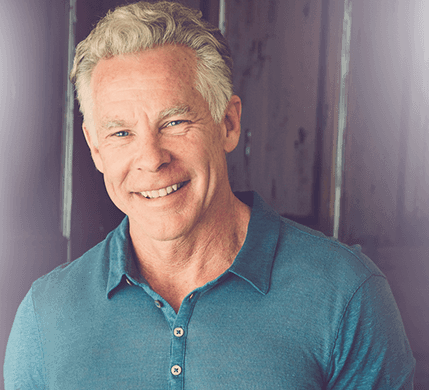 Dr. Blaylock is a neuro-surgeon who has studied the effects of excitotoxins on the brain extensively. I highly recommend his book Excitotoxins: The Taste That Kills. If you read it, you’ll never touch nutritional yeast again.